As expected, Captain America: The Winter Soldier took the top spot at the box office this weekend, with a hefty $96.2 million, but that tally also helped Marvel achieve another milestone. 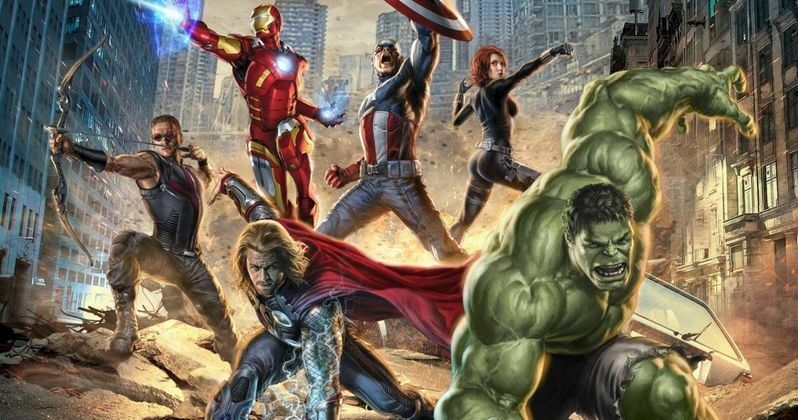 The Marvel Cinematic Universe, which includes all of the studio's Phase One and Phase Two movies, have surpassed the Harry Potter films to become the most lucrative franchise of all time. With this weekend's gross, the MCU has taken in $2.463 billion domestically, which includes Iron Man (2008, $318.4 million), The Incredible Hulk (2008, $134.8 million), Iron Man 2 (2010, ,$312.4 million), Thor (2011, $181 million), Captain America: The First Avenger (2011, $176.6 million), Marvel's The Avengers (2012, $623.3 million), Iron Man 3 (2013, $409 million), Thor: The Dark World (2013, $206.3 million) and Captain America: The Winter Soldier, which is now at $101.2 million and counting. The eight movies in the Harry Potter franchise earned $2.39 billion during their run between 2002 and 2011. It should be noted that third on the franchise list is Star Wars at $1.91 billion, but that also includes the animated Star Wars: The Clone Wars movie (2008, $35.1 million) and numerous re-releases throughout the years. Of course, those numbers will surely go up with Star Wars: Episode VII coming out next year, along with Star Wars: Episode VIII, Star Wars: Episode IX, Untitled Star Wars Han Solo Spin-Off and Untitled Star Wars Boba Fett Spin-Off. However, with Marvel already planning out future movies until 2028, it seems unlikely that Star Wars or any other franchise will be able to catch them. However, when you adjust for inflation, since ticket prices are much higher these days, the James Bond franchise and its 24 films (including the 1967 spoof Casino Royale), come out on top with a whopping $5.26 billion, with Star Wars in second with $4.26 billion, Harry Potter in third with $2.95 billion, Batman and all of its iterations in fourth with $2.78 billion and the MCU in fifth with $2.58 billion. It's also worth noting that, worldwide, Harry Potter has raked in $7.7 billion, compared to the MCU's $5.97 billion. Here is the current, unadjusted, franchise top 10. Do you think any of these have a shot at taking down Marvel?